TODAY IS A MONUMENTAL DAY IN AMERICAN HISTORY. 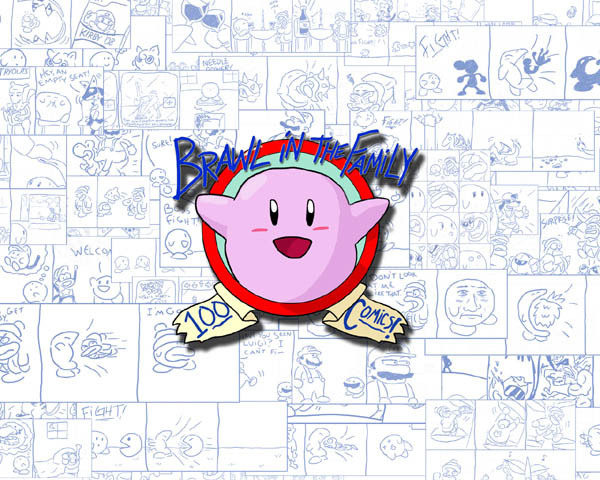 …Because it’s the 100th comic of Brawl in the Family, of course! Today’s comic is my own little nod to one of my favorite children’s books, The Very Hungry Caterpillar. In early August, while thinking up BitF ideas during a class on teaching (I still doodle, regardless of the class), I ended up sketching ideas that eventually became the Groceries and Phendrana comics (as well as Meta Knight’s Black Mage costume in Trick or Treat). During break, I came across the caterpillar book in the school’s library and instantly wanted to put a Kirby twist on the story. 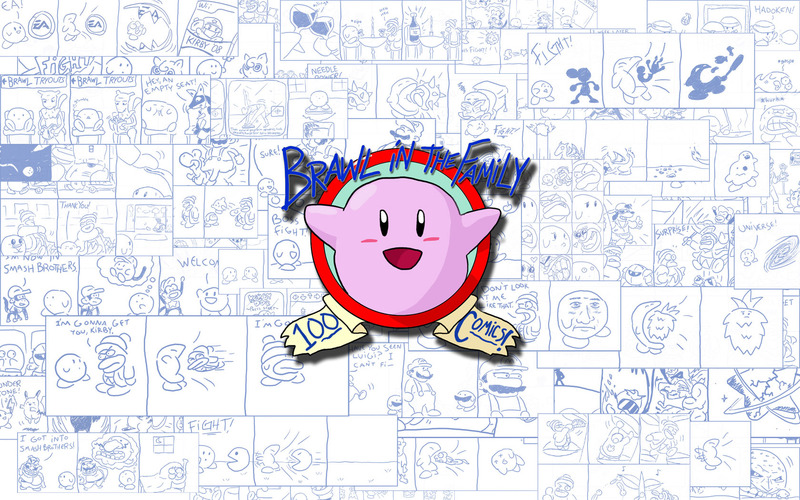 Or smother your computer in comics with the WALLPAPER! Or smother your computer with even more comics with the WIDESCREEN WALLPAPER! Thanks to all the readers for their continued support, including the lively members of the forums (including the moderators), and of course, Chris’s continued maintenance and unleadedmugen.com‘s hosting.